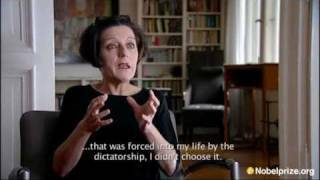 In 1987, Müller left for Germany Herta Müller was born in Niţchidorf, Timiş County, Romania, the daughter of Swabian farmers. Her family was part of Romania's German minority and her mother was deported to a labour camp in the Soviet Union after World War II. Is this you? Let us know. If not, help out and invite Herta to Goodreads.